We're not meant to go through our challenges of life alone, so we'd love to pray for you! Go to our Prayer Wall and click on "About Prayer"
Have you ever wondered why the Bible compares us to sheep? 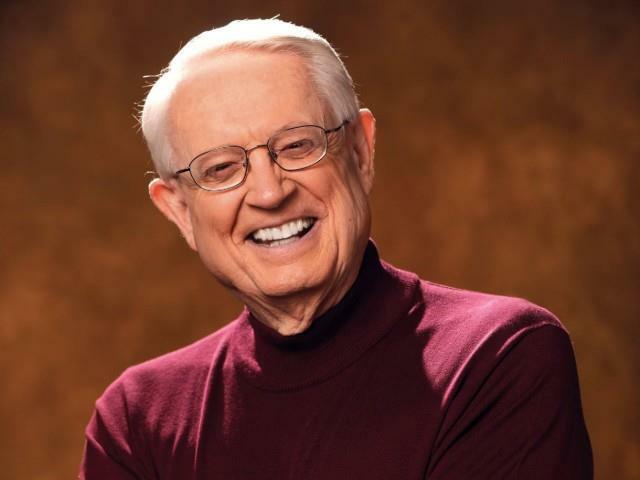 In this live performance of one of his most popular messages, Ken answers that question in a way that will have you laughing until your sides ache. More than that, it will leave you encouraged and inspired to be all that God has created you to be! This is a message your whole family will enjoy again and again. OnePlace.com is the premier internet provider of online streaming Christian radio broadcasts and programs. Listen to your favorite Christian speakers, authors, and pastors including Dr. David Jeremiah, Kay Arthur, Charles Stanley, Chuck Swindoll, Greg Laurie, Adrian Rogers, Beth Moore, and many more. Stay connected with your favorite radio broadcast ministries through daily devotional newsletters and never miss a new program when you sign up to receive the episode reminder emails. Want to take Christian radio programs on the go? Download the Oneplace app on your iPhone or Android device and listen to sound biblical teachings, wherever you go. Download sermons to your Oneplace app and enjoy listening when offline or in airplane mode. Stream from your Oneplace app to any bluetooth enabled speaker or car dashboard and easily share your favorite teachings with friends and family. Grow in your walk with Jesus Christ, be encouraged in your faith, and build your knowledge of the Bible with OnePlace.com Christian radio programs.